HiPP Organic products should be enjoyed as part of a varied and balance weaning diet. 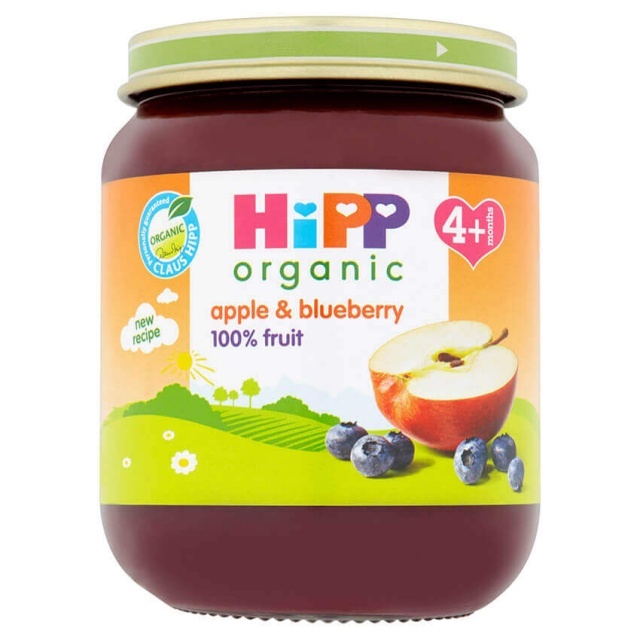 Our Finest Ingredients are picked at the peak of ripeness & individually steam cooked to give you delicious baby food bursting with goodness & flavour. Once opened, replace cap, keep refrigerated, use within 3 days. This product left the factory in a faultless condition - please ensure that the jar and the cap are undamaged before feeding. Please note: this product contains no artificial colours, but the natural ingredients may cause staining.